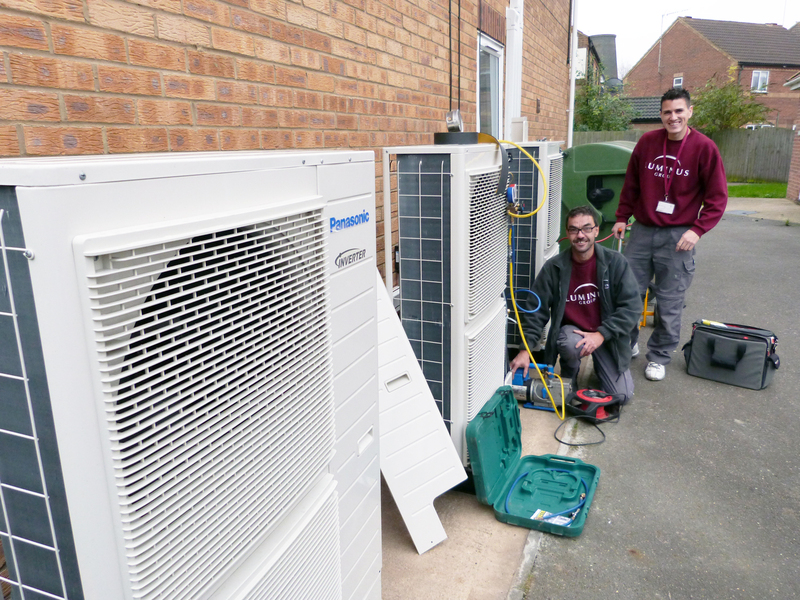 Background: Cambridgeshire housing provider, Luminus Group required a sustainable heating and hot water system for their new development of apartments in Wisbech. The Ferry Project, a charity within the Luminus Group, helps homeless single adults in the Fenland area, by providing both emergency accommodation and longer-term help. Project Challenge: A three storey block of flats owned by the group was identified as the location for a new residential site for the charity. The property has been converted into a six flat development consisting of ten bedrooms together with shared communal kitchens, bathrooms and living rooms. It was important that heating and hot water costs were kept to a minimum and ensure hot water supply could meet the demand, they needed a system that would be space saving and reduce the running costs associated with electric storage heating. 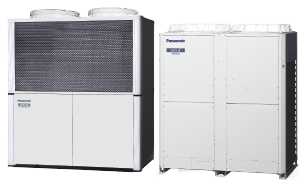 Solution: The Panasonic’s Aquarea High Temperature 12kW split units were specified for this project. 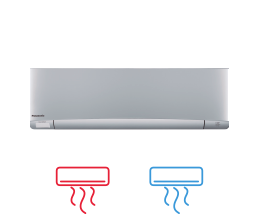 The Aquarea HT offers outstanding performance, even at very low outside temperatures. 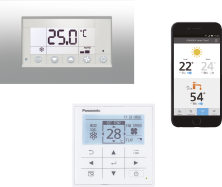 The HT can produce 65°C hot water even down to -15°C. The HT is also very quiet in operation with no noise inside the house as there is no double stage compression. 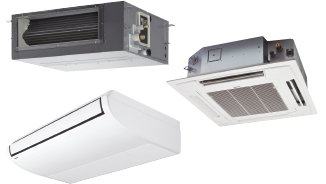 Building Energy analysis: Panasonic has achieved excellent performance using only single stage compression by optimising the Aquarea HT for use with the environment-friendly refrigerant gas R407C. 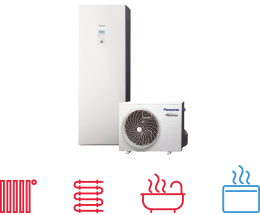 R407C works on much higher temperatures than R410A, which means the HT can produce hot water at 65°C using only one stage of compression while still maintaining high system efficiency.